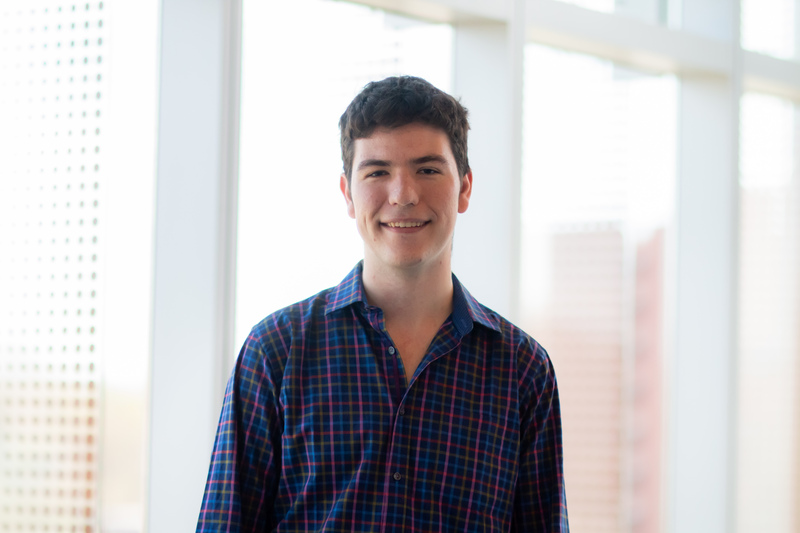 Senior computer science major Louis-Henri Merino has been named a Fulbright Scholar for the 2019-2020 academic year. He will be studying block chains with Bryan Ford at L'École polytechnique fédérale de Lausanne (EPFL), a research institute and university in Lausanne, Switzerland. After his year abroad, Merino will return to the University of Maryland to earn a Ph.D. in Reliability Engineering from the A. James Clark School of Engineering. As a French speaker, Merino is looking forward to working on his language skills in Lausanne and other French-speaking European cities during his time abroad. He looks forward to visiting family and friends as well. While an undergraduate at the University, Merino enjoyed doing research in the ACES Cybersecurity Program with Director of the Program, Associate Professor of Reliability Engineering Michel Cukier. Merino has also been a member of Assistant Professor Dave Levin's Breakerspace Lab. He will continue to work with both professors upon his return to UMD. When asked what he would like to do after his fullbright and his time as a graduate student, Merino said, "I would like to do a postdoc, and then become a professor."